The War is Started! Finish Clean and Quick: We can not Afford to Lose!!! Both public and opposition says are sharply divided on this Somalia war. It is clear that the government has no public rally behind its decision as it was during the recent war with Eritrea. It is better to finish this war clean and quick. Whatever our differences may be, whatever dictatorial this regime may be, although it has thrown elected MPs to jail, etc and etc ...still ... we can not afford (wish) to lose. If there is an “imminent” danger posed in front of Ethiopia as a nation and society, religion would take the forefront. It is further fanned by reckless handling of the ruling party and the world political stand over. From the self proclaimed “defenders” of Christianity in the US to jihadists in the Middle East and East Africa, the issue has become a political maneuvering. Based on the Ethiopian government’s decision to indulge itself in this tricky business in confrontation with the fanatics in Mogadishu, Ethiopians have started to voice for or against this decision, and some are going far in politicizing religious issues and giving religious face to other susceptible political occurrences. TAGS: Artist: Ethiopiques Album: Ethiopia Song, piano solo Track: the homeless wanderer Other Tags: Ethiopiques Volume 21 Many of us have come to know and love the Ethiopiques series. And for folks that didn’t already know the amazing music, Jim Jarmusch’s last feature film, Broken Flowers introduced a few million new listeners to the sounds. The rest of the post comes between the span A while back, (the lastest in the series) Ethiopiques Volume 21 was released, this was a departure for the usually upbeat, and often ensemble recordings of semi-danceable rhythms that appear on many of the Ethiopiques volumes. 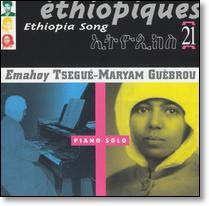 Volume 21 features a woman named Emahoy TseguÈ-Maryam GuÈbrou playing solo piano. Emahoy was born into a prominent Ethiopian family in 1923, she was the daughter of the heralded Ethiopian writer and intellectual, Kentiba GuÈbrou. She spent a good deal of her youth and young adult years away from her native Ethiopia. She was sent as a child to Switzerland, where she studied violin and piano. She continued playing the piano when she returned to Ethiopia, and then continued her studies under a Polish teacher in Egypt. At some point during her studies she was living in England and for some, most likely retarded patriarchal reason, she was prevented from continuing her music studies, so at that point she decided to become a nun. The lifestyle must have afforded her the time to at least occasionally practice, compose and evolve as an artist because it shows in her beautiful work. You can see the imprint of her European studies in Beethoven, Strauss and Chopin and it said that she was also at least vaguely aware of the happenings of early Ethiopian Pop artists like Tilahun Gessese, Hirut Bekele, Mahmud Ahmad and Bizunesh Bekele and was influenced by the religious music of the Ethiopian church as well. I think she is still alive, living as a Christian nun in a Jerusalem monastery. The tracks on this disc are culled from sessions ranging from 1963 when she was 40 years old up to some sessions in the early 90’s when she was in her early 70’s. It seems that she was mostly self-recorded. Its not that the music is completely different from anything you’ve ever heard. That’s just it….her compositions pay homage to beautiful elements of European and Ethiopian styles, its smooth enough to play for your grandma and hip enough to impress the indie record store clerk. Meditative, adventurous and extremely pleasant. The first track, ‘The Homeless Wanderer’ gets me everytime. "Community Health Evangelism (CHE)": Is it good for them when we are devastated by HIV? In an international conference staged in Europe some years back, a lady from Asia gave "God's miracles" when her earthquake stricken fellow country people "were converted to Christianity". I was disgusted to hear such "testimonies" from people who consider themselves as messengers of God. The same is true in our country as well. May be this piece of article might fall in this category. For "them", to evangelize us, it is good that we are devastated by HIV, or war or famine, or what else? The European Commission (EC) said on Tuesday it has endorsed a works contract valued at -6.3 million Euro for the construction of four shelters for five churches in the UNESCO World heritage Site of Lalibela. According to EC, the purpose of the shelters is to protect the churches before and during the restoration works. The contract agreement scheduled to be completed in sixteen months was concluded between the Authority for Research and Conservation of Cultural heritage (ARCCH) and the Joint Venture of Endeco SPA & ICOM Engineering SPA, the Commission said. The churches to be covered are: Biet Medhane-Alem, Biet maryam, Beit Masqal, Biet Amanuel and Biet Abba-Libanos. "The endorsement of the works contract is an indication of the EC's strong commitment to the preservation and conservation of the unique cultural heritage of Ethiopia," the Commission said in a statement sent to The Daily Monitor on Thursday. The European Commission will provide -5.5 million for the works from the European Development Fund. According to the statement, the shelters have been designed by Teprin Architects winner of the international architectural Competition; "The skies of Lalibela", held in 2002. The commission said judges for the competition were appointed by ARCCH, UNESCO, Ethiopian Association of Architects and the EC. The Shelters have been designed as temporary installations capable of being removed after completion of the restoration works and of being otherwise reused. The process was throughout supported by the Ethiopian Orthodox Tewahedo Church. In his remarks on the conclusion of the works contract agreement, Head of the European Commission Delegation to Ethiopia, Ambassador Tim Clarke said in the statement : "I am extremely happy that this contract has been signed and that we can now move forward on the conservation work." 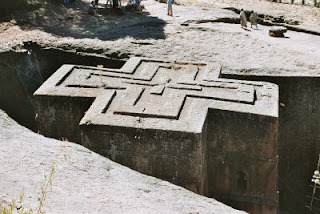 Ambassador Tim Clarke added that, in recent months, there have been intensive consultations with UNESCO and all the parties involved so as to ensure the unique features of the Lalibela site are preserved during the works. In parallel to the construction of the shelters, the Commission is considering mobilizing a further - 2 million for carrying out additional work to conserve Lalibela's wonderful paintings and other treasures, Tim Clark indicated in the statement. A conference (November 23-25, 2006) designated as the first international meeting of Ethiopian Orthodox laity has passed the following three pages resolution. Deje-Selam will deal with its pros and cons very recently. For the time being we leave you with the resolution. The militant Islam emerging in Ethiopia is showing its ugly face through its extremist approaches. Our young people are falling prey to this movement especially after the government handled the case very unwittingly. Take a look at this news article and a resolution they passed after their international conference. There are people who we believe they are as devil as the devil himself, but we have no other option than to accept them as "our" own "devils". There are also "bad" behaviours, which we know they are bad but we accept them our "beloved" bad ones. An article written (in Amharic) by ZENA MARQOS , posted on Ben's homepage, and which I found interestingly informative, shades light on some of these "bad" behaviours, and leaves the stage open for dialogue. Take a look at it. Remembering the Forgotten Victims: What do we Ethiopians know about the Sources that Led to the Abrupt Resignation of Aklilu Habte-Wold’s Cabinet? As shown by the historical records of the past three decades, the people’s power has not been effective in Ethiopia. It is therefore difficult to consider this power as a source of protection for political leaders who are ready to take risks. In practical terms, the people’s power in Africa, and in Ethiopia in particular, is radically different from the experience in Latin America, Asia and, as seen in recent political events, in many countries of the former East Block. Looking at political events and developments in my country retrospectively, one sees that Ethiopians have never been to collectively share and enjoy the fruits of political events that have resulted from the people’s action, uprising and power. It is to be remembered that the people outright rejected the forceful imposition of power and rule by the undesired, uninvited military regime of Mengistu Hailemariam – yet he managed to rule my country with an iron hand for a long 17 years, with little or no effective, meaningful challenge from those being ruled. By using viciously crafted mechanisms of destruction to eliminate both intellectuals and the youth of Ethiopia – the future assets of the country – with the cooperation of our own families and relatives, the regime of the Dergue also managed to permanently divide and demoralize the people of Ethiopia, to the point of becoming unable either to rise up and challenge the Dergue itself, or to fight against external enemies such as the TPLF and EPLF. It is indeed depressing to painfully recall and admit that so many, perhaps millions, of Ethiopians were used by the cruel regime as tools to willingly expose their own friends, neighbours and colleagues, and hand them over to the killing machines of the Dergue. It was these actions of the Dergue regime that created permanent wounds and animosities among Ethiopians to the point that it seems difficult, if not impossible, to reconcile and cure. Perhaps because of this, we remain persistently reluctant to talk, write and debate about those painful histories and still fresh memories. Even worse and more painful, in addition to these unhealed wounds and unforgettable scars in our recent history, we also know so little about the sources and causes that contributed to the abrupt resignation of Prime Minster Aklilu Habte-Wold’s entire cabinet on the 26 or 27 (embarrassingly, no exact date of resignation is to be found anywhere) of February 1974. Although this became a fertile ground for the emergence of the people’s enemy, the Dergue, and the subsequent structural crisis within Ethiopian society, this has not been explored and written up. Except through verbal stories and jokes told in family get-togethers and around coffee tables, most, if not all, Ethiopians have had no factual account – for example, based on meeting reports or recorded videos showing when, at which date and time, or indeed the exact reasons that led to the resignation of the late Prime Minister Aklilu Habte-Wold’s cabinet. And who was or were precisely responsible for this resignation of then Prime Minister Aklilu Habte-Wold and his ministers? Many Ethiopians say it was the Dergue that forced the entire cabinet to resign. But surely there was no Dergue or military committee at that time of their resignation? There was not someone in Addis Ababa at that time by the name of Mengistu Hailemariam. I saw him with my own eyes in early March 1974, a simple army officer or an obscure major, together with another officer from the Dire Dewa anti-aircraft division, talking to my uncle and his wife at the Harar Military Hospital while we were visiting my uncle’s wife younger brother, a member of the Ethiopian Air Force who was stationed in Dire Dewa. The Provisional Military Administrative Council had not yet been founded. There was as yet nothing in the compound of the fourth army division which was, and perhaps is still, located in Meshwalekia, Addis Ababa. The political tensions and crises that existed from January to the very day of Aklilu Habte-Wold’s cabinet resignation were nothing compared to the persistent and quite explosive political challenges, combined with armed confrontations – often with deadly results – that have faced and tested the unelected leadership of the TPLF since its arrival in May 1991. In 1974, there were only three or four demonstrations. The last (and a major) one, probably held on 26 or 27 February, is said to have resulted in the culmination of Aklilu Habte-Wold’s cabinet by resignation: it was indeed supported by the various sections and divisions of the Ethiopian armed forces. Can such demonstrations alone be seen as the decisive source and cause of the resignation of Aklilu Habte-Wold’s cabinet? How then? How come measures were not taken by the Emperor himself, as well as by Aklilu’s cabinet, in an attempt to silence the uprising? 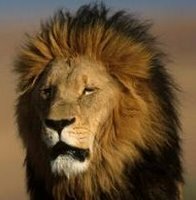 And why did Emperor Haile Selassie return home from the OAU African Heads of States Summit held in Mogadishu in late June 1974, knowing that the political temperature was heating up so dangerously and irreversibly? Didn’t he have reasonably wise advisors at that time? Other Ethiopians argue that Aklilu Habte-Wold and his ministers were forced by Emperor Haile Selassie himself to give up their responsibilities. But how? Where are the documents, the written and recorded evidence? Does Ethiopia lack all historical records related to such resignations and the subsequent tragedies? What a huge embarrassment and deficiency for Ethiopia and its people! How is it possible that such extremely fascinating tragedies, such historically valuable and important events are not documented? How can they be so neglected, so that they are forgotten by entire generations, even that of my father? How in the world is it possible that the multiple, incalculable contributions to Ethiopia’s political development and political history, including the enormous achievements and respect my country gained from the international community through the hard, devoted work realized by those irreplaceable Ethiopian figures, can be so neglected and forgotten? Why is that? Where is the concern, the respect and the love Ethiopians generally have for the people and the history of Ethiopia, and towards those who played a crucial role in representing our country on the world political stage, who made history for our country? The story surrounding the tragic, untimely and sudden murder of ministers, together with their compatriot army generals and civil servants, by the power hungry and power intoxicated Dergue members under the leadership of the most inhumane, cruel, anti-social animal called Mengistu Hailemariam, has remained buried, in exactly the same way as the story of the resignation of Aklilu Habte-Wold’s cabinet. No books, no films or video recordings based on facts seem to have been produced. It is probably due to our resulting ignorance that most Ethiopians of my generation often feel uncomfortable, even embarrassed, to talk or engage in debates involving these two tragic events. Yes, since there are no written meeting reports or video records that might indicate why and how the members of the Dergue reached their extremely cruel conclusions and decided to murder their own compatriots, most of us know little or nothing about the precise facts behind the killing of those 60 Ethiopian citizens in just a few minutes on the 23rd of November 1974 - we only know that they never faced due process in a court of law for the crimes of which they were accused As time passes, later generations, including that of my daughter, will know even less. What is most remarkable of all is the lack of concern and the disinterest of Ethiopians in boldly confronting, exploring and writing about these painful events, the history of our own crises, which are also our own creations. Isn’t it tragic, even shameful, to realize that we Ethiopians still live without books, professionally produced films or video records of such important, fascinating but painful historical events? I would further be interested in understanding why the Ethiopian Diaspora, including the opposition political parties and the Diaspora media outlets and websites, are so reluctant to provide forums that would bring together individual Ethiopians who have information about those two important historical events, so that they can be widely discussed and more deeply explored? It is to be remembered that in recent times Chapters of Ethiopian political parties and the Ethiopian Diaspora in general have been engaged in exploring and explaining the origins of TPLF and its founding fathers, as well as the later historical developments. How is it then possible that the personalities and immense historical contributions of those 60 or more Dergue victims, the events themselves, the whys and hows of their resignations and murders, can be seen as irrelevant, or less important than the history of the TPLF and its founding figures? Why is that our interest and fascination are more profound with respect to the histories of our enemies than regarding the historical achievements, contributions and personalities of our own people? What kind of Ethiopianess is that? Wolf Leslau, surely the greatest Semiticist linguist of the post-war generation, whose work established Ethiopian linguistics as an essential part of Semitic studies, died on Nov. 18, at age 100 + four days. He is survived by two daughters, Elaine and Sylvia, and grandchildren. Author of a body of work the size and breadth of which it is difficult to imagine anyone again matching, and the content of which it is difficult to imagine anyone again having the competence to match, his life was filled with love and energy for scholarly work. His publications date from 1933 including eleven articles before the appearance of the book Lexique soqotri in 1938, and continue uninterrupted almost to this year (The Verb in Mäsqan, 2004). Until recent months he was diligently working on another book, on the Ethiopian Semitic language Gogot. Characteristically, at 80 years old he discovered and mastered use of the Macintosh computer, recognizing its usefulness in composing work using phonetic and European-language fonts as well as Ethiopic and other Semitic writing systems. Born in Poland on Nov. 14, 1906, he moved to Vienna in 1926, where he met his wife Charlotte. In 1931 he took up studies in Paris under Marcel Cohen, on Ethiopian languages. The war would interrupt his studies but not his writing: three articles appeared in 1939 and a book documenting Tigrigna, still perhaps the basic source on this important language, in 1941. Escaping nazi-occupied France in 1941, he and his wife reached New York in 1942, where he taught at the Asia Institute and the New School for Social Research. He moved to Brandeis in 1951. After the war he was able to return to Paris to submit two books and receive in 1953 the Doctorat-ès-Lettres from the Sorbonne. In 1955 Leslau accepted appointment at UCLA, where he founded the Department of Near Eastern and African Languages (now Near Eastern Languages and Cultures) and where he sponsored, taught, and mentored the first generation of Ethiopian modern linguists. In the sixties he directed UCLA Amharic-language programs for the U.S. Peace Corps, for which purpose he wrote his Amharic Textbook (675 pp., 1965, dedicated to the memory of President John Kennedy) and his Concise Amharic Dictionary (535 pp., 1976). A Guggenheim fellowship had first taken him to Ethiopia for field work in 1946 where, helped by an audience with Emperor Haile Sellassie I, he avoided payment of a prohibitive fee to import his heavy and bulky recording equipment, and proceeded to regions beyond Addis Ababa to gather the meticulously written and organized notes which he expanded on subsequent visits, and was continuing to draw from until this year. Traveling about by mule, he was the first to study in depth most of the South Ethiopian Semitic languages, including Gafat (Étude descriptive et comparative du Gafat, 1956), whose last aging speakers he sought out. He worked and published on Ethiopian Cushitic and Omotic languages too, and on other Semitic languages. His field notebooks and cards, gathered before the benefit of computers, were miraculously cross-referenced by his encyclopedic memory. Besides linguistics, he published folk-tales, recordings of music, and many articles of anthropological interest, and his grammars were often backed up by thoroughly annotated texts on cultural and social topics. He sponsored the publication of the first novel written in Chaha. Three hundred publications were listed in the bibliography of his writings in his 85th birthday festschrift, Semitic Studies in Honor of Wolf Leslau, A. Kaye, ed. (1991) --with 137 contributors. An earlier festschrift, Ethiopian Studies Dedicated to Wolf Leslau, S. Segert and A. Bodrogligeti, eds. (1983), had honored his 75th birthday, and a later festschrift honored his 90th birthday: Essays on Gurage Language and Culture, G. Hudson, ed. (1996). It is impossible here to list even highlights of his honors and publications, but several monumental books finished after his retirement from UCLA may be mentioned as indicative of Leslau’s extraordinary energy and creativity: Etymological Dictionary of Gurage (Ethiopic), 3 vols., 2082 pp., in 1979; Comparative Dictionary of Ge‘ez, 813 pp., in 1987; Fifty Years of Research (37 selected articles), 503 pp., 1988; Reference Grammar of Amharic, 1044 pp., in 1995; Zway: Ethiopic Documents, Grammar and Dictionary, in 1999; and, with his student Thomas Kane, Amharic Cultural Reader, in 2001. Mentioned above was The Verb in Mäsqan, in 2004; he was then 98 years old! Volume 9 (2006) of the journal Aethiopica (Siegbert Uhlig, ed.) was dedicated to him, as “the grand maître of our field. By his lifework Wolf Leslau has set milestones for Ethiopian Studies in general, and Ethio-Semitic linguistics in particular. No scholar or student today can work in these fields without his dictionaries, grammar books and text editions. Leslau has served the academic world for many decades, having erected a lasting monument for himself by his everlasting energy and indefatigable dedication. His kind personality, engaging manners as well as the cooperative skills he revealed in his dealings with African colleagues have been his distinctive mark. The fundamental works his efforts have produced will stay with us for many decades to come.” Those of us who studied with him or knew him otherwise are fortunate to have known not just the scholar and his work but the informed citizen and gracious gentleman, recalled as a man of subtle humor, knowledgeable and serious on just about any subject, with understanding for the troubles of Ethiopia and Africa, with concern for the progress of Semitic and Ethiopian linguistics and for the preservation of vanishing languages and cultures. A Muslim mob has killed six Christians in an unprovoked attack on a congregation in Ethiopia, ICC has discovered. The US-based human rights group International Christian Concern (ICC) has learned a mob of 300 Muslims killed six Christians in early October while 15 others were left seriously wounded by the attack during a midnight worship service in Beshasha, a town located in the Agaro province in Ethiopia. On 14 October, a group of three hundred Muslims, carrying guns and knives approached the church where the Orthodox Christians were holding a midnight worship service. When the locked doors prevented the mob from entering the church they forced the congregation out of the church by pouring gasoline around the building. The men of the church came out first and attempted to defend the men and women but because they had no real weapons in comparison to the guns and knives used against them they were attacked by the mob. Fifteen individuals from the church suffered severe knife wounds and six people died as a result - two priests, two elderly women, and two men. Two weeks later, the Ethiopian media announced that the police had arrested the leader of the massacre. But ICC warns that the violence against Christians continues to increase steadily despite the arrest. It was only two weeks before the Beshasha massacre that another attack on Christians occurred in Jimma, Ethiopia because Muslims opposed Orthodox Christians celebrating the traditional Meskel holiday. ICC warned that Muslims in the Horn of Africa are becoming increasingly radical and violent and are being urged to export that violence to surrounding countries. This trend is almost certainly affecting Christians in Ethiopia, ICC said. The Union of Islamic Courts in Somalis recently called for Jihad against Ethiopia, appealing to Muslims of the Horn to rise up against anyone who would dare come against the religion of Allah. ICC remains concerned as it warned that the tragic incident may only be a precursor of things to come as Muslims in Ethiopia, Kenya, and Tanzania are radicalised. An international Newspaper (The Mercury) has published a news feature about HIV/ AIDS patients and the role of Holy Water in Ethiopia. The text is published as follows. ADDIS ABABA: Shivering under a tattered blanket, a young woman tries to sleep at the foot of the mist-shrouded Entoto Mountain, north of the Ethiopian capital, Addis Ababa. Nearby, a mother and child huddle together in the early morning cold. "I decided to come to Entoto to seek a cure from the holy water after a doctor told me that I am HIV-positive," Abebech Alemu, 35, said. "I am a follower of the Orthodox faith. I strongly believe that I will be cured by drinking the holy water, rather than drugs." Ethiopia is one of the countries hardest hit by the Aids pandemic, with more than 1.5 million people, including 100 000 children, living with the HIV virus. The World Health Organisation (WHO) says the pandemic was previously an urban problem, but the virus has started to spread to rural areas, where an estimated 85% of the country's 75 million people live. In Ethiopia's remotest corners, awareness of health and medical issues is very low, and many in isolated communities believe HIV infection is akin to a plague or curse from God. Abebech is one of thousands of Ethiopians who trek from far-flung parts of the Horn of Africa nation to what they believe are holy springs, searching for cures. Many hope to rid themselves of HIV/Aids. At the site of the holy spring on Entoto near St Mary Church - built by, Emperor Menelik II at the end of the 19th century - a priest holding a large, wooden cross stands on high ground. Below, partly naked and trembling patients line up to be immersed in the water and blessed by the priest. Each patient carries away about five litres of the water, which they drink every day, believing it will cure their ailments. Monks have built awnings made of sticks and straw around St Mary Church to shelter the wealthier visitors, but most live in the open, surviving by begging. "I know about the free distribution of HIV medicine, but I have decided not to take it. I am convinced I can be cured by the holy water," Abebech said. Head priest Bahetawi Gebremedhin Demise said he had come to Entoto 10 years ago, after God had told him in a dream to go to the deep ravine under the mountain, where a holy spring would cure the sick. "Once they feel better, I send them back to the hospital where they were declared HIV-positive. "They come back with a negative certificate," he said. Bahetawi Gebremedhin said 1 390 HIV-positive people had been cured in the past year alone, according to his records. He said the spring had healed more than 500 000 people, including many foreigners, suffering from different ailments. "This is a place of God, where all those who believe in the Almighty are being cured. People from all walks of life who seek God's mercy come to us, and we try and help everyone irrespective of their creed, religion or nationality," he said. But Dr Solomon Zewdu, administrator of Johns Hopkins University HIV/Aids Drugs Distribution Centre in Addis Ababa, said he had appealed to the Orthodox Patriarch to tell HIV-positive people that they could take anti-retroviral drugs (ARVs) along with the water. "HIV drugs are life-saving. Those who are drinking the holy water can also take the drugs. "I do not see any contradiction," he said, adding he had seen patients abandoning their hospital beds and the ARV regime, opting for holy water. Only 33 000 people in Ethiopia are receiving anti-retroviral treatment, according to the World Health Organisation. In many developing countries, life-saving drugs are either unavailable or too expensive for millions living with the virus. "Those possessed by the devil come in chains, others on a wheelchair or on the backs of men, still others, who lost their eyesight, are led here by friends," Bahetawi Gebremedhin said. "After a few weeks of intense prayer and religious rites, they are baptised with the holy water and they get cured." Note: Here is an article posted on the Ethiopian Students Association (ESAi) forum by a certain writer about evangelization. While Diaspora is a word that includes all of us, I want to focus on the youth only. Evangelism is a broad topic, and for the youth, we have almost no participation. You are bored if you don’t understand OR if you understand too much (if you are not challenged). If you don’t understand what is going on you lack the motivation or patience to learn. Without an explanation of why the church observes these traditions or what the traditions are for, there is no justification for why a child needs to do the same thing. These kids need proof of faith before they invest interest in learning about it. For those who are focused enough to learn things early, church becomes boring when they are forced to continue learning Fidel and mezmur instead of “graduating” to the doctrine of the church and church history. If it hasn’t been clear to parents/elders, there is a definite separation between Ethiopians born back home and those born here. My personal testament to this trend is that I am not close with the choir members even though I am a deacon of the church. In my personal experience I have not seen a collection of youth as an organized group in church aside from a senbet temhirt bet…and the language of instruction is in Amharic. The gap is the language and those with the ability to speak Amharic are receiving all the benefit. They say the greatest test of love is to let someone go and see if they return. When a young person stops coming to church, we know that it is not God that they do not love…it is the way the church has welcomed them that they do not love. If the church was valuable in the heart of the youth, then it would be their will to return to the church. Another question about the motivation for coming to church is, “Are they coming to church because they love the EOTC faith or because they love Ethiopia?” Ultimately, how do you create value in the heart of the youth? There is a very clear threat from the parents or elders for kids visiting other churches to gain insight about God. Without fearing the topic, I must candidly speak about the caution against Orthodox youth attending Pentecostal churches for Bible teaching. Until the EOTC can provide Bible study at the same level and quality of instruction as is being offered at certain “Pente” churches, an Ethiopian Orthodox youth should not be harassed for seeking the word of God in the language of their preference. The youth that are exploring for their relationship with God are the ones who are most ready to stay with the EOTC as long as somebody is ready and willing to plant the seed. If the youth are harassed for seeking God elsewhere, then the parents and elders are giving these youths a swift kick to the backside and supporting the youth’s decision to leave the church. The EOTCs of the Diaspora must urgently consider whether it can be accepted for the youth to learn certain incorrect teachings from other churches while learning mostly commonly agreed upon lessons about God or if the church will only allow its youth to be accepted within the membership if they learn only what can be gained through the EOTC. If the youth are not able to maintain focus or patience to learn about God in our current setting, then the burden is on the EOTCs of the Diaspora to bridge the gap. Judgment of the youth is a pitiful misplacement of fault. The spirit of God in not understood, it is felt. There are certain reasons why people keep a promise or agree to do a favor. The main one is because of belief. If the youth are to take the challenge of upholding and sustaining the EOTCs in the Diaspora, then they must believe that the church is of value to them, fully entrusted to them, and focused on strengthening them as Christians. We cannot quantify what it is to be Ethiopian in the Diaspora, but we do know the faith as taught to the disciples. It is this faith that must be passed on to the youth. The church cannot be run in the same way it is being managed today because the youth want clear-cut rules on who is in charge of each aspect of running the church. All previous points bring us to this point. The youth will only honor the “adera” if they feel the church is accepting of them, the church has been entrusted to them (feel ownership), and the faith of the church has been properly taught to them. Without these things “adera” sounds like an obligation instead of a privilege. If obliged to take on the roles of the parents, then the entire “adera” feels like a threat. However, if the youth are chosing to leave the church out of high school, then the situation is at its worst…an empty threat. You want the youth to volunteer to sustain the churches. “Adera” would not even be necessary if we could accomplish this. When will the youth be ready to lead the church? They will lead when confident enough to Evangelize. Ex. Church History, Songs and Worship, Church Service, Church Doctrine, Religious Holidays, How to run the church, Etc. Remember that there is no “Degree/Diploma” necessary to be a teacher, we all must share what we have learned from God out of the goodness of our hearts. We cannot be perfect teachers, so we rely on the Holy Spirit to reveal the perfect truths to each person’s soul. We are not far from being able to teach these topics. Much has already been translated to English or other languages. Our only task is to organize these references into a solid curriculum that all can use and learn from. Give Board Announcements to the youth as well. If the church will be theirs in the future, there is no reason why they shouldn’t hear reports of money raised, invitations from other churches to attend religious celebrations, reminders to pay monthly membership, etc. Enforce real punishment on youth that are disrespecting Sunday School rules including penalty to parents who do not support the rules. The Sunday School is not a day care. Students should be suspended from school if necessary. Budget should be increased to improve provisions to youth activities in the church. Youth support on official decisions of the church should start to take place. There is no substitute for leadership training by actual experience in decision making. 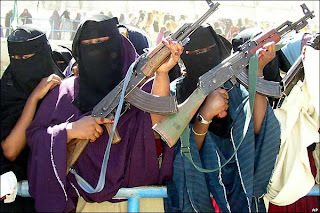 Jihadists in Gondar! – Symptom of the Global Syndrome? The following is an article copied from adebabay blog. I think it will be another eye opening information for those who solely attribute each and every masacre to the EPRDF government. Is there really an Islamic threat bloosoming in Ethiopia or is it a Christian fanatic hatred towards our muslim brothers and sisters? Take a look at the article. Many Ethiopians regardless of their religion and locality, I believe, couldn’t possibly have the right picture of recent religious clashes in their motherland. Why? Simply because it is beyond their experience or due to critical lack of information about the dynamics of different religious groups. Reasonably their first hand experience does not warrant any different picture other than sporadic and personal conflicts among followers of different religions particularly between Christians and Muslims. Yet, either they recognize it or not a new pattern of clash is emerging or has already emerged. Religion ‘related’ clashes reported in the last ten years have their own patterns and features. The clashes are more organized and in most cases incited in some way to bring the other party into confrontation. According to my source that have been digging similar cases for long, some ‘organized’ Muslim groups lead this new trend by far than their own Muslim compatriots and Christians. While many Ethiopians are giving a lip service for the terrorist attacks reported in Somalia, Palestine and Israel, a similar breed was incubated in the middle of their parishes and mosques. If any of my readers couldn’t believe the new terrorist type brutality and organization reported in the news media, I invite them to watch a video film recorded immediately after the recent butchery (to use the right word) near Jimma town. By the way this film is on sale in Addis. You can get it with vendors; just ask politely. Jihadists with Machetes in Gondar? 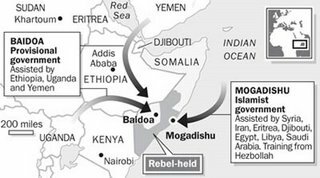 The story of the Gondar Jihadists is one among many. Thanks to my five reliable sources, one of them a Muslim, the Gondar town story is a telling one. A tension between some Muslim groups and Christians escalated when Muslims claim to take two historical holly-water places of the Orthodox Church and that couldn’t be resolved by all respective local government bodies. 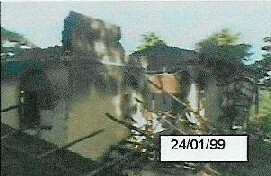 While the issue was waiting a miracle to solve, police received one unimaginable leak of information by mid June 2006. The leak claimed that one truck of machete entered the town with specific details (I don’t disclose the name of the driver and plate number to protect my sources.) The machetes distributed immediately to unknown destinations. However the police find out the driver and the truck after three days. The police then began to assess the whereabouts of the machetes and search even few mosques and houses. It was not in vain; they found more than 130 machetes in two mosques and another 150 in three resident houses. Where are the remaining machetes? NOBODY KNOWS! This led the police to a more complicated investigation of the crime. The result being dreadful; a “Jihad Committee” organized underground. This committee deposited 70 million Birr only in one account. The investigation continued and police find a compound used as a military training center in Gondar town with the help of responsible Muslim compatriots. It is found that the Jihadists have merged three residential compounds into one bigger training center. Witnesses told the police that there were about 1000 trainees at one time in this center. Reportedly my sources confirmed that police have caught and investigate some of the trainees. Similar training centers discovered by Police in Dabat and Denbia districts. Unlike the Gondar town training center, these were operating as orphanages. 400 militant trainees caught red-handed in these compounds and investigated. However most of these trainees are released latter on and no one, including police, knows where they gone. Police find very important leading evidences in these training centers which includes: fax machines, wireless telephones, camera, hand grenades, list of individuals to be assassinated (most of them leading scholars of the Orthodox Church in the area and their students, priests and deacons), list of jihad suicide volunteers and their relatives who would take the reward after their death etc. A Jihadist caught red-handed with a hand-grenade twice while trying to kill a leading scholar in Gondar town. While the evidences are calling for further investigation, however, the process is delayed beyond once expectation, my source commented. The case before months transferred to federal police. According to recent reports many residents of Gondar town are demanding an official investigation and result of the case in the last few weeks. The case of the Gondar Jihadists is only one part of a set. We don’t know what is happing in other remote areas of the country. There might be many similar movements everywhere. Who knows? The butchery witnessed and filmed recently further confirms once fear of similar jihadist connections. What are the current issues in the relation between Muslims and Christians in Ethiopia? What is the way out? What can each of us contribute to be part of the solution, not the problem? Could there be ethnically and religiously divided Ethiopia? What is the current dynamics of these two flaming human factors in Ethiopia? A CALL FOR AN OPEN DIALOGUE BEFORE …! I read two interesting articles by Tafere Hailemariam and Sisay Asefa about the current Ethio-Somalia situation, and thought of sharing it with Deje-Selam readers. ዳቦ ተርበን - ካኪ ታርዘናል÷ የሰውነት ክብርና ኢትዮጵያዊ ኩራትስ ተጠምተናልን? ነገሩን ሲመለከቱት እጅግ ግርም የሚል የዕብደት ዓይነት ቲያትር ይመስላል፡፡ ምን እየሆንን ነው? ምንስ እያደረግን ነው? ይህ የዕብደት አዙሪት ማብቂያው የት ላይ ነው? በፖለቲካ አስተሳሰብ ተለያይተን በጥይት ተተጋትገን÷ በዘር ተለያይተን ታቦት ሳይቀር በዘራችን ስም አቁመን÷ ቤተ ክርስቲያናችንን ለወንዛችን ልጆች ብቻ አድርገን÷ አሁን ደግሞ ይባስ ብለን ክርስቲያን ከእስላም ብለን ሰይፍ መዘን ተገዳድለን ... እንዲህ ሆነን እስከመቼ እንዘልቀው ይሆን?